This is one of my favourite cakes. 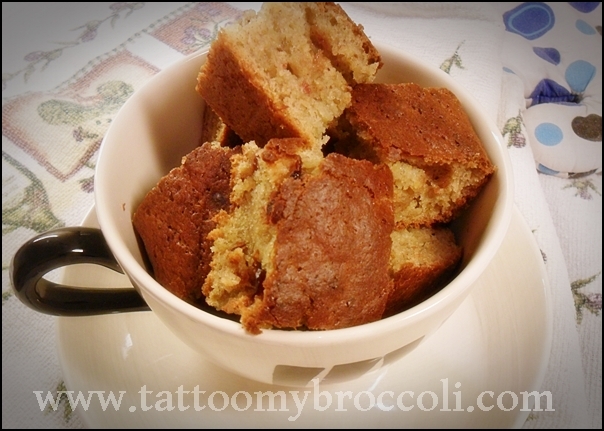 Bananas never go to waste in my house because I use them for this recipe. If I want to make the cake later, I just freeze the mashed bananas and defrost them before baking. 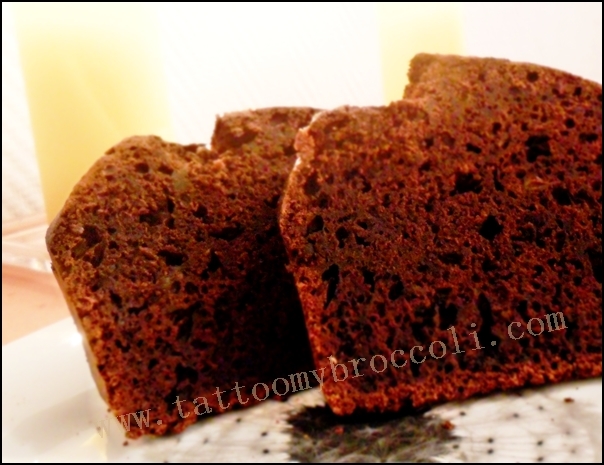 This cake is wonderfully low in fat as you only use 1/4 of a cup of oil for quite a large cake. 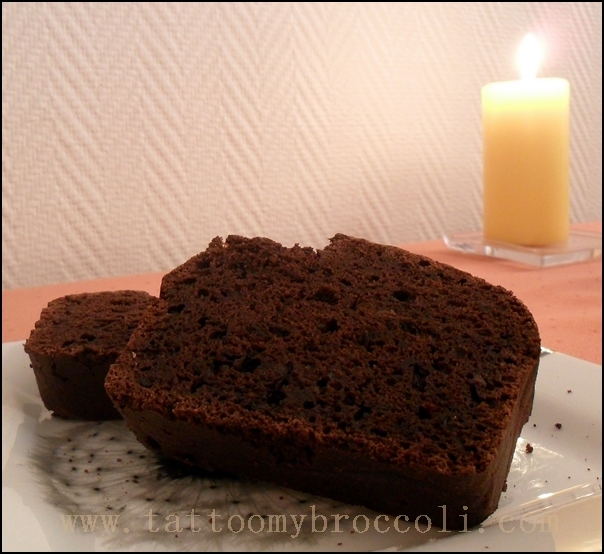 I enjoy this delicious cake with coffee or some green tea. My partner loves it with a glass of cold milk. In a bowl mix all of the dry ingredients: flour, sugar, baking powder, salt, cinnamon, cardamom and ginger. Once well mixed, add eggs, bananas, applesauce and oil. With a spatula mix until blended and there are no more pockets of dry flour. The dough will not be completely smooth but that’s ok. At the end add cranberries and mix. 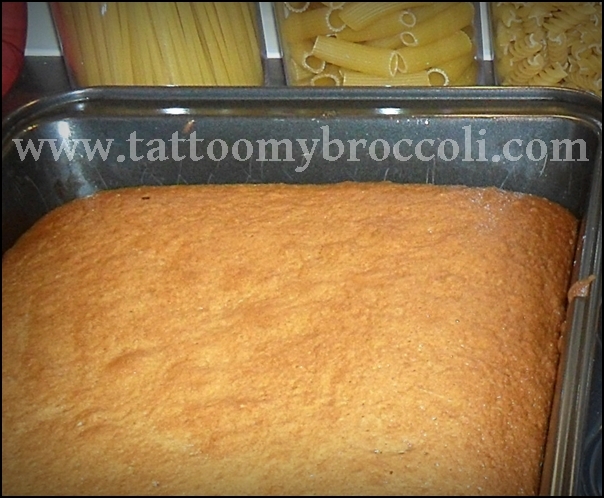 Line a large baking tray with baking paper or prepare in whatever your preferred way is and pour the dough over. Bake for 1 hour and check with a cocktail stick. Depending on the exact size of eggs and how watery the applesauce is, it is possible that the stick will not come out clean yet. If this happens, bake for another 10 minutes or until it does come out clean. St. Patrick’s day is just around the corner and I am going to celebrate it because I feel emotionally connected with Ireland. I lived there for quite a few years and that awesome island will always be dear to me. What better way to celebrate than making something delicious? 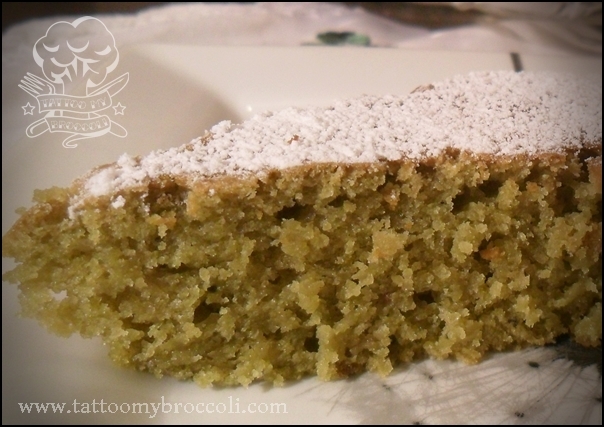 This recipe is a green tea-flavoured cake so you won’t like it if you despise green tea. I really wanted to make something green without using green food dye because that just seemed too easy. I experimented a bit with spirulina and I considered spinach but green tea turned out to be the answer this time. I’m using a green tea powder called matcha, which is a fine-ground type of green tea that is used in the Japanese tea ceremony. It’s used in many other things though, like green tea ice-cream, cakes and other treats, so using it for cake is not, in my opinion, blasphemy. You can get this tea in good tea shops. It should not be on display as it’s supposed to be kept in a dark container but ask and hopefully they’ll have it. 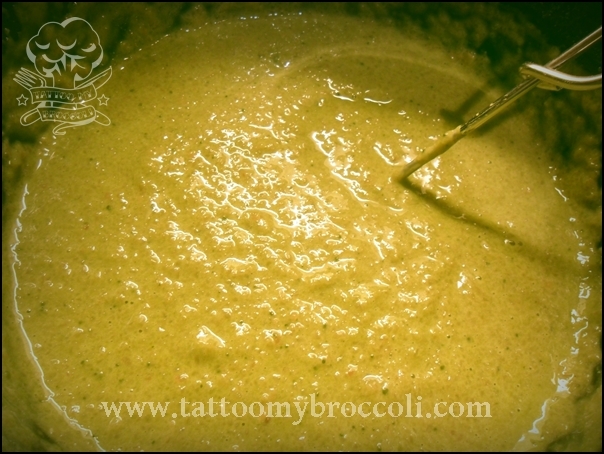 In a bowl whisk the oil and eggs together with applesauce, and while still whisking add matcha green tea powder and sugar. In a separate bowl mix flour, salt and baking powder. Add these to the egg mixture and stir well. Pour into a greased round pan and bake for 40 minutes or until passes stick test. 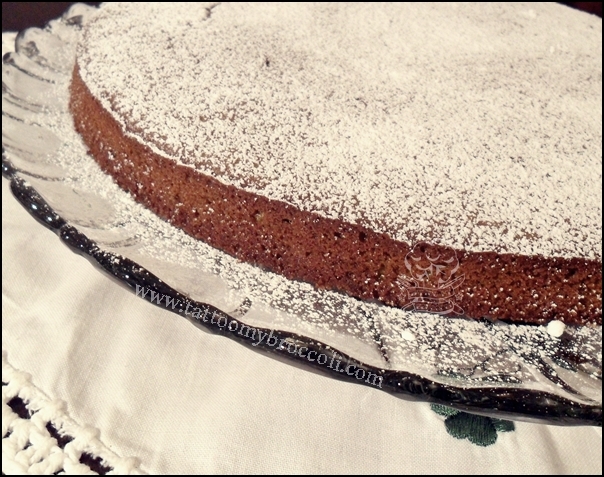 Once the cake cools, sprinkle with icing sugar. Happy St. Patrick’s Day to Everybody! This is not exactly the carrots’ natural season anymore but they are still not expensive and since it’s still winter here, it will be nice to warm yourself up with some winter spices. If you want to feel a little bit Norwegian for a day, don’t skip the cardamom in the recipe or even increase it slightly. Its warming qualities are very much appreciated here. In a bowl mix all the dry ingredients: flour, sugar, salt, cinnamon, ginger, cardamom and baking powder. Once mixed well, add eggs, oil, applesauce and carrot. Stir with a spatula but only so that there are no more dry flour pockets, don’t continue mixing after that. 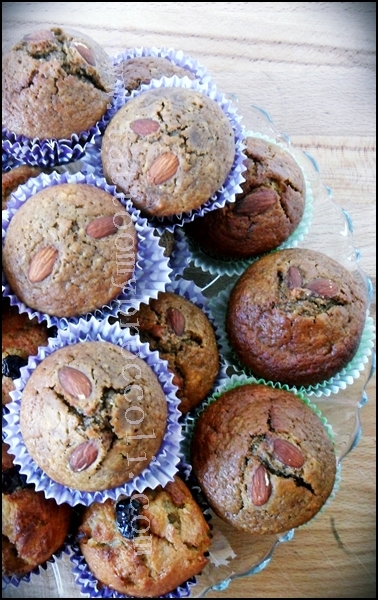 Line the muffin pan and fill 12 cases. Bake for 30 -35 minutes. Check with a skewer or cocktail stick. When I was a little girl my Grandma used to make a similar dish in a remoska mini oven that we had. She continued always making this particular dish in the remoska even though we already had a standard oven, so when the remoska was out of the cabinets, I knew the delicious cinnamon smell would soon fill the whole house. Ah, the childhood memories! You can check out what a remoska is here. I can see the nostalgia is not only mine and the remoska seems to be making a brilliant comeback as an electricity saving oven. Well done! Maybe I’ll get one too? We ate this as a normal dinner. Maybe you’ll like it better as a lunch or even dessert! This was back under communism when eating meat everyday was just not how things were, so rice with apples seemed like a very good dinner idea. We were not obese back then, so sometimes I look back into these times to see if I can find any more healthy recipes. Now, bear in mind that this is not diet food either as it has sugar. I now adapted this recipe to my lifestyle and more modern likes (like brown rice instead of white) and this is what I came up with. I hope you enjoy! Wash your rice in a sieve and dump in the baking dish, add water, sugar, cinnamon, ginger, cardamom, salt and stir to evenly distribute all the ingredients. Add applesauce and stir again. 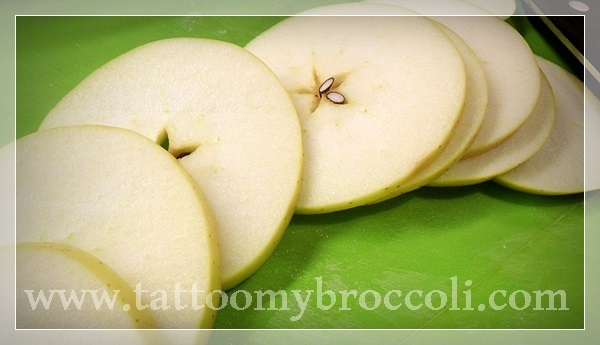 Cut apples into slices, I cut them widthwise and just remove the middle to save time. 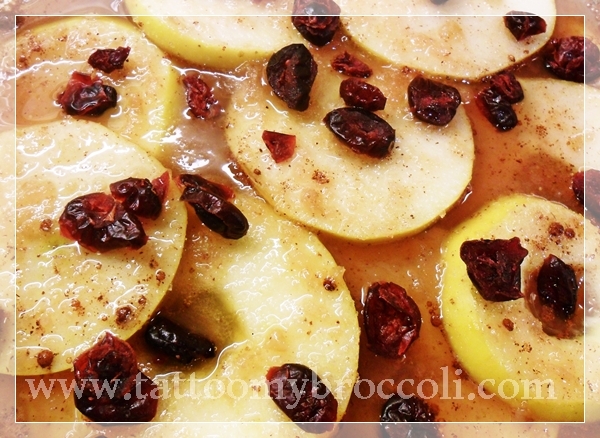 Place apples on top of your mixture and press lightly to submerge them in the sweet, spiced water. This amount serves 4 for a light and delicious meal. You know all these chocolate ads showing people on their sofas wearing a white turtleneck and warm socks or people dressed in elegant clothes having the experience of their lifetime? I totally buy into all of them. I love chocolate and eating good quality chocolate is always a delicious, almost spiritual experience for me. Chocolate picks me up from the worst moods and always comforts me when I feel vulnerable. There is just no better drug than chocolate. If you feel similarly or your loved one does and you want to make something special for Valentine’s Day, try this recipe. It’s very chocolatey, very dark, full of well developed cocoa flavour. You can also add a drop of orange aroma if you can find it in the shop and if you like that combination but that is optional. First of all, you’ll need to turn your dark chocolate into powder. You can grate it if you have the patience but I always put it in my mini food processor. 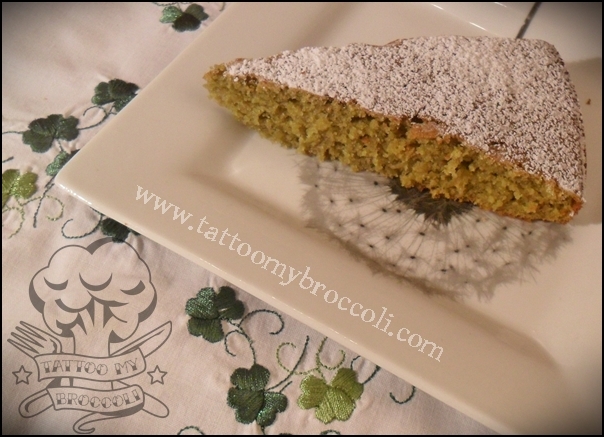 The little particles resulting from this (in the picture) are good enough for this recipe. Once done, place the chocolate powder in a bowl and add cocoa powder, flour, sugar, baking powder, salt and ground coffee. 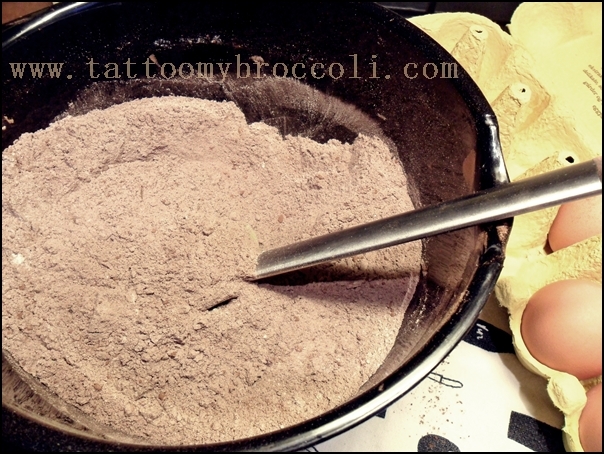 Stir to combine all these dry ingredients into a more or less uniform powder. Add eggs, applesauce and milk. This is also the time to add orange aroma if using. 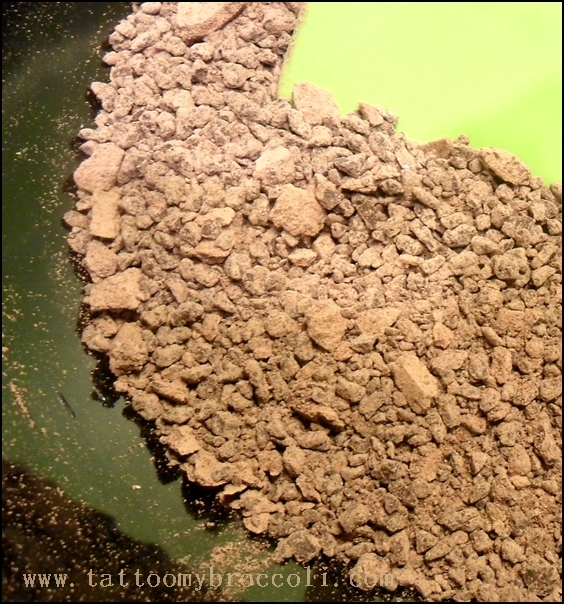 Blend with a spatula until combined and there are no more pockets of dry powder. No need to use electric whisk or any other tiresome techniques. 🙂 A short stir will do the job. Pour this mixture into a loaf tin lined with baking paper. I used a 30cm/12inch loaf pan which is longer than the other two I have. You’ll figure it out, I’m sure. Bake for 65 minutes. I know it’s a weird time, try 60 and see if it passes the cocktail stick test after that. My oven bakes it to perfection in 65. Look out for another chocolate cake recipe next week. This will be just one day before Valentine’s Day and it will be a very simple recipe for those who just want to whip up something very easy and very quick. Applesauce features in so many of my recipes that I know that by now I owe you an explanation. Using applesauce as an important ingredient in baking came to me after I got two jars of homemade applesauce from my partner’s Mum. I had them in the fridge and wasn’t sure what to do with them until I decided to google it and see what I can do so that it wouldn’t go to waste. And there I discovered the world of applesauce everything and I learnt how big applesauce is in the US. Where I live now, in Norway, you can’t even really get it in the shop. I started experimenting and it never went wrong, so I loved it. 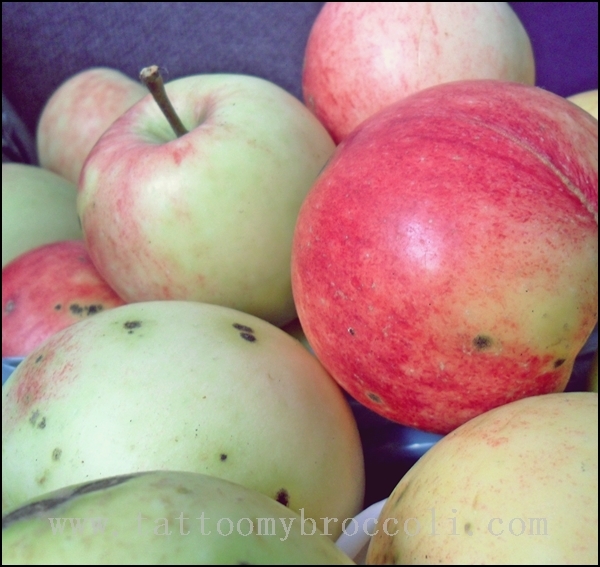 Later I started making my own from bought apples and when the season came, also from apples I could pick. So here I am, adding it to pretty much everything now and making my cakes that small bit healthier. I want to be able to enjoy cake for many years of my life, so I’m trying to go easy on fat and sugar. 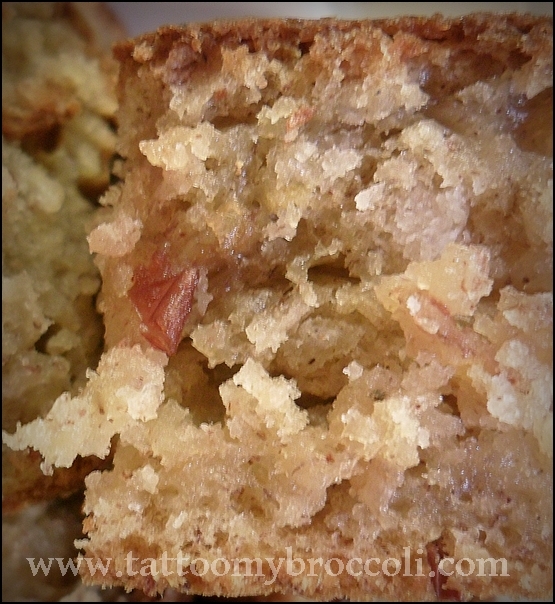 Using the applesauce to replace the oil or butter in my cakes helps me do just that. There are a million and one recipes out there for applesauce but this is how I make it. And knowing how lazy I can be you won’t be surprised that I don’t peel the apples. Added nutrition from the skins makes me happy and my hands thank me for less work. I recommend that lazy approach to everybody. 🙂 This recipe also does not require any fancy canning equipment. Well washed jars after mayo, pickles or jams will do. Wash apples and quarter them, cut out the cores. If using a food processor, turn the apples into pulp. If using a stick blender, just chop them with a knife for now. Place the apples and sugar in a pot. If you have already processed them, it’s advisable to pour a little water in the bottom of the pot, so that they don’t stick. Let them cook for an hour, until you can see the mixture is becoming thicker. Blend the chopped apples with the stick blender if you have chosen that method. 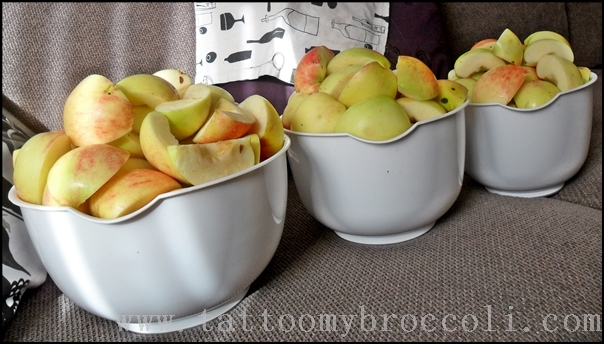 Keep the apples on the stove while you prepare the jars. Preheat the oven to 100C/210F and put the open jars in there for 10 minutes. In the meantime, submerge lids in hot water from the kettle. 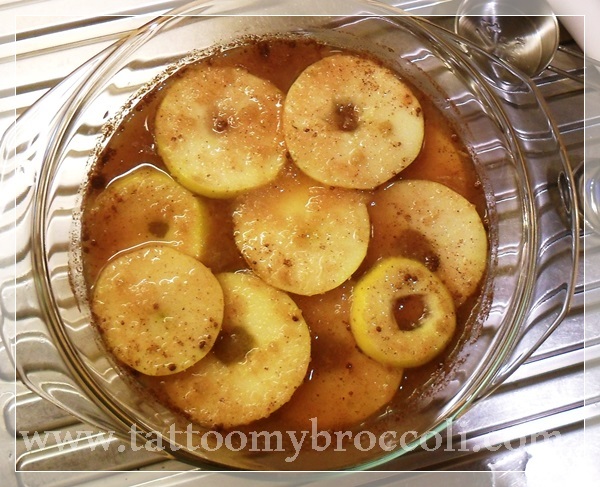 Put on your kitchen mittens and spoon hot apples straight from the pot into hot jars straight from the oven. Close with the lids immediately and leave on the counter. After an hour or so you will start hearing popping sounds from the jars sealing. Wait until the next day and check that all the lids are concave. If any of them didn’t seal, keep them in the fridge and use within a week. The rest can be kept on the shelf in the pantry. They normally all seal, as long as you jar the apples while still hot. Enjoy in cakes as well as on bread. Applesauce is also a delicious gift to somebody you like. I love coffee. I live in Norway so I’m not alone! Follow this link to find out that Norwegians imported half a percent of all the coffee produced in the world in 2010. They drink 5 cups per day on average and I can confirm that even when they come visit in the evening they rarely say no to a cup of coffee. Proper stuff from a coffee press though, not the instant granules. I first smiled a bit at this coffee madness but now I’m part of it. 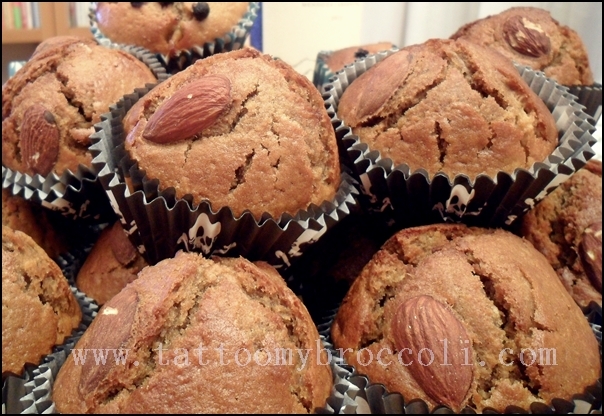 These muffins contain coffee, so they are not suitable for children. They are, however, suitable for Norwegians as well as anybody else who likes coffee. Preheat your oven to 200C/400F. Prepare a 12 muffin tray. In a large bowl mix flour, sugar, baking powder and salt. In a smaller bowl mix applesauce, oil, milk, egg and coffee dissolved in a little water. Don’t use very hot water or your egg will cook. Once mixed pour the wet ingredients into the dry ones and blend but don’t overmix. Some people say that stirring muffin dough 10 times is enough. I might stir a bit longer if I still see a lot of dry patches but not too long. 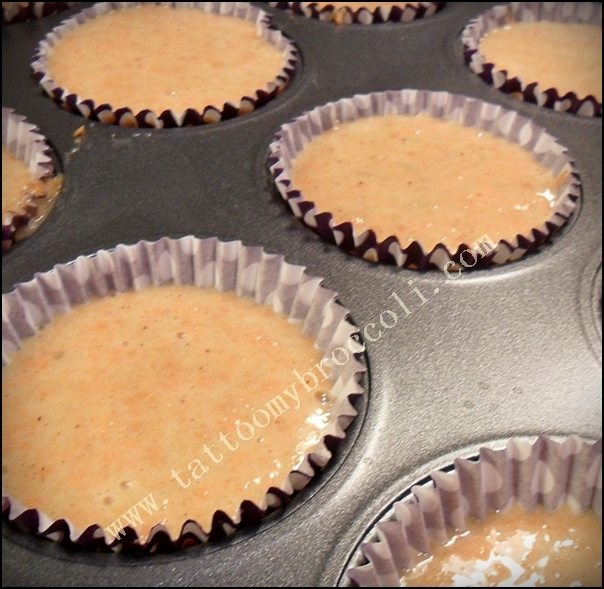 Pour into the muffin cups/tray or whatever you’re using. 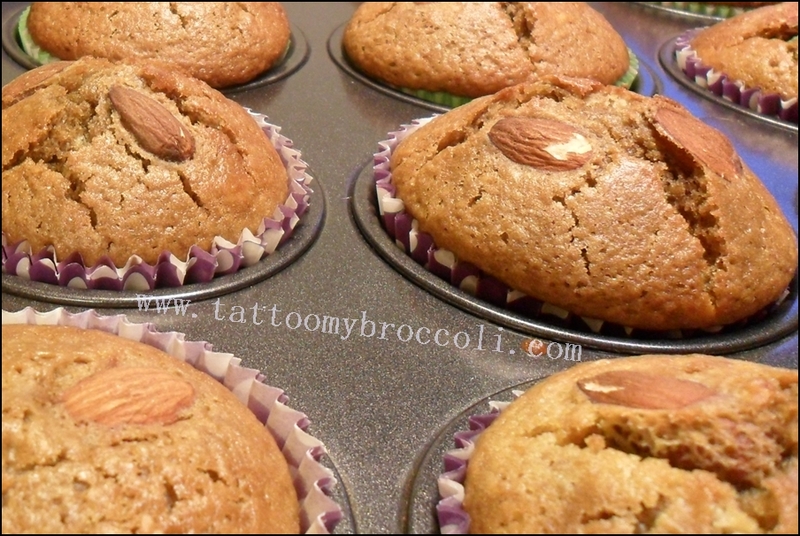 Decorate with almonds. Bake for 20 to 25 minutes, check with a skewer. 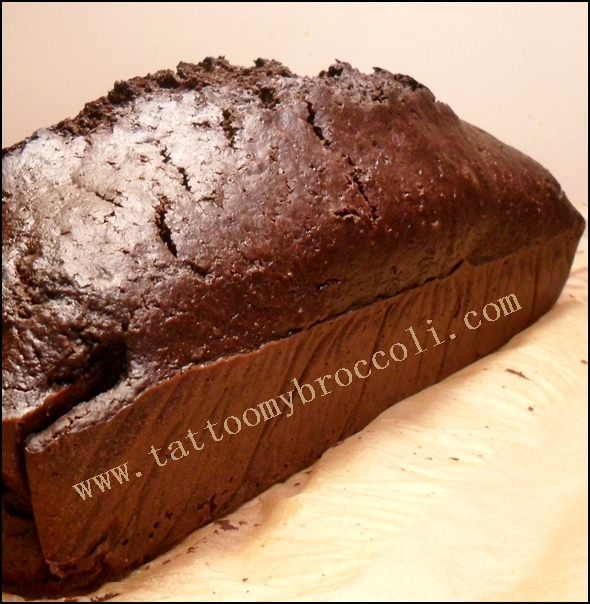 © Julia M Wlodarczyk and Tattoo My Broccoli, 2014-2024. Broccoli with appropriate and specific direction to the original content.